MOD function can be used when you want to get the remainder when one number is divided by another number. It returns a numerical value that represents the remainder when one number is divided by another. number – A numeric value for which you want to find the remainder. 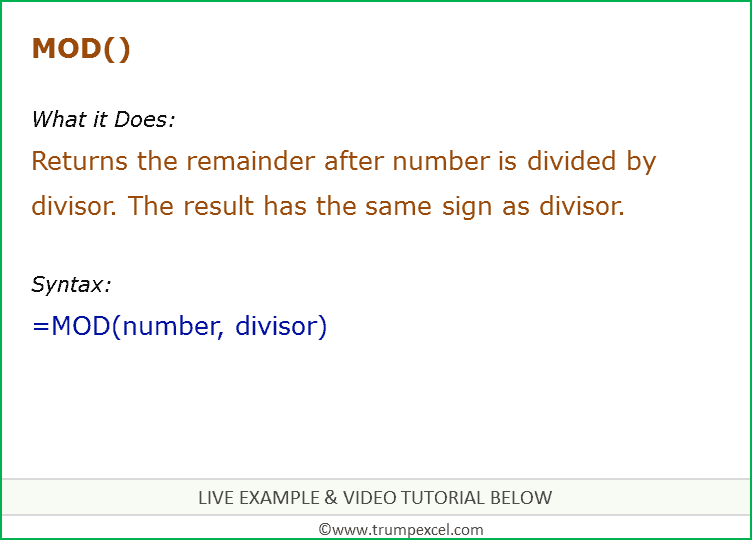 divisor – A number with which you want to divide the number argument. If the divisor is 0, then it will return the #DIV/0! error. If the divisor is 0, then it will return the #DIV/0! error. The result always has the same sign as that of the divisor. You can use decimal numbers in the MOD function. For example, if you use the function =MOD(10.5,2.5), it will return 0.5. 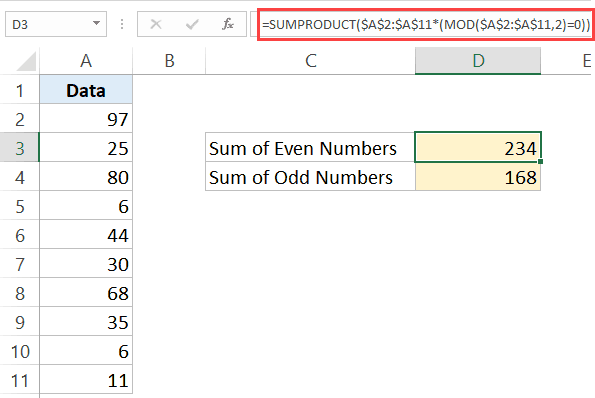 Here are useful examples of how you can use the MOD function in Excel. Note that here I have hard coded the range ($A$2:$A$11). 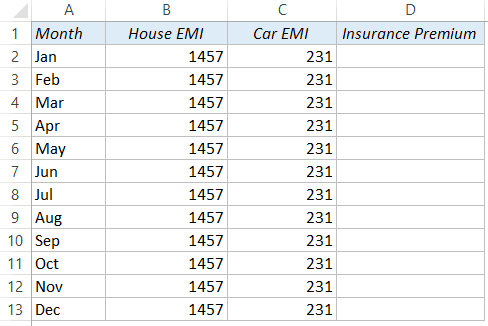 If your data is likely to change, you can use an Excel Table or created a dynamic named range. 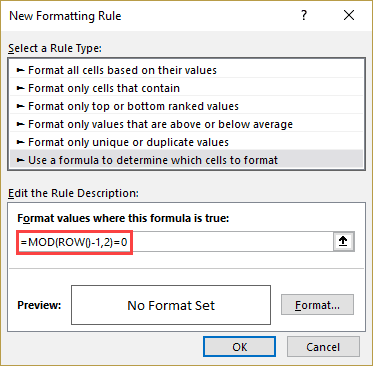 This formula works by calculating the remainder using the MOD function. For example, when calculating the sum of odd numbers, (MOD($A$2:$A$11,2)=1) would return an array of TRUEs and FALSEs. If the number is odd, it would return a TRUE, else a FALSE. 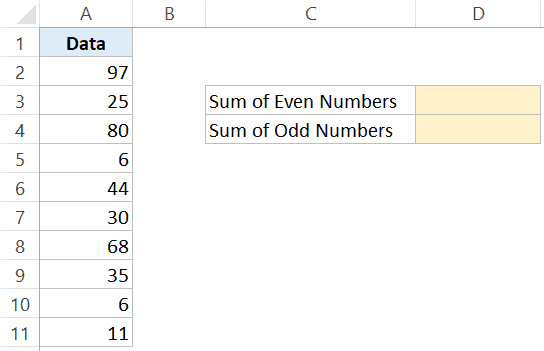 SUMPRODUCT function then only adds those numbers that are returning a TRUE (i.e., odd numbers). The same concept works when calculating the sum of even numbers. 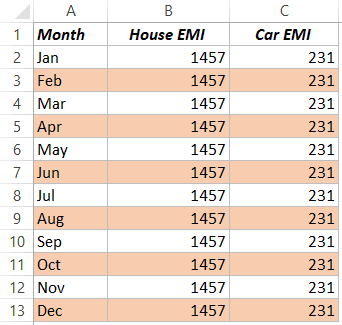 While the house and car EMIs are monthly, the insurance premium is paid every three months. You can use the MOD function to quickly fill the cell in every third row with the EMI value. This formula simply analyzes the number given by ROW()-1. 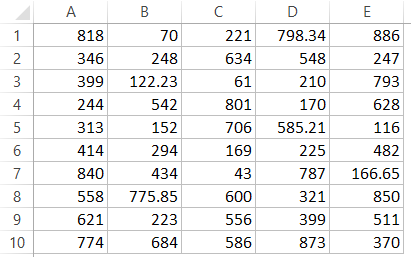 ROW function gives us the row number and we have subtracted 1 as our data starts from second row onwards. Now the MOD function checks the remainder when this value is divided by 3. It will be 0 for every third row. Whenever this is the case, IF function would return 457, else it will return a blank. Highlighting alternate rows can increase the readability of your data set (especially when it’s printed). Note that every second row of the dataset is highlighted. 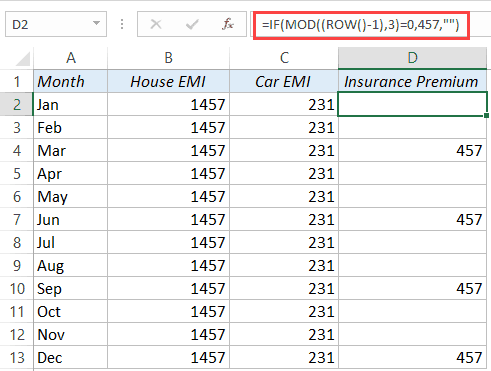 While you can do this manually for a small dataset, if you have a huge one, you can leverage the power of conditional formatting with the MOD function. 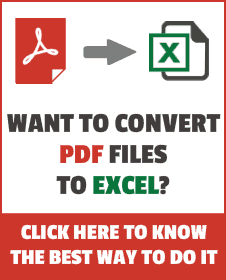 Select the entire data set. Go to the Home tab. 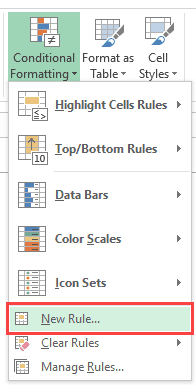 Click on Conditional Formatting and select New Rule. 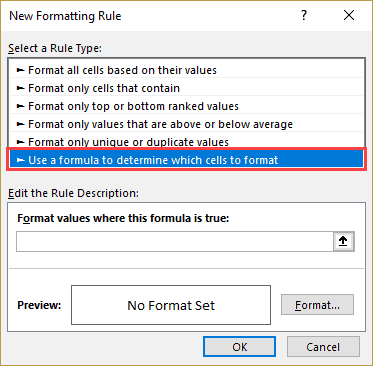 In the ‘New Formatting Rule’ dialog box, select ‘Use a formula to determine which cells to format’. Click on the Format button and specify the color in which you want the rows highlighted. This will instantly highlight alternate rows in the dataset. You can read more about this technique and variations of it in this tutorial. 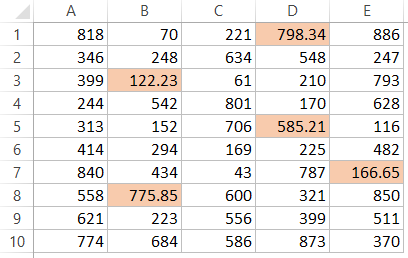 You can use the same conditional formatting concept shown above to highlight integer values or decimal values in a data set. There are numbers that are integers and some of these have decimal values as well. This will highlight all the numbers that have a decimal part to it. Note that we in this example, we have used the formula =MOD(A1,1)<>0. In this formula, make sure the cell reference is absolute (i.e., A1) and not relative (i.e., it shouldn’t be $A$1, $A1 or A$1).